Version 15 has now been released and subsequently patched a number of times. PLEASE NOTE VERSION 15 IS ONLY OFFERED IN SQL VERSION!!!! Those clients on 14.x SQL version may be safe to move ahead with version 15 now. For my clients on version 14.x in the C-Tree version, please be sure to have adequate computing power if you plan to upgrade. There are several pre-conversion boxes to check before you proceed! A significant component to the new version is SQL-Express(a free version of SQL). If your firm already has a SQL server for other programs, your upgrade will go smoothly. While having a licenced version of SQL is better, many firms are experiencing great success with the Express version as well. Depending on the number of users on your system directly relates to the amount of work required to upgrade. Plan your upgrades and the process proceeds smoothly. I recommend these processes early in the week, when a planned outage can happen and when your IT support and LexisNexis support engineers can be available. 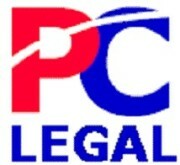 This entry was posted in LexisNexis PCLaw®, PCLaw®, Updates and tagged PCLaw®. Bookmark the permalink.